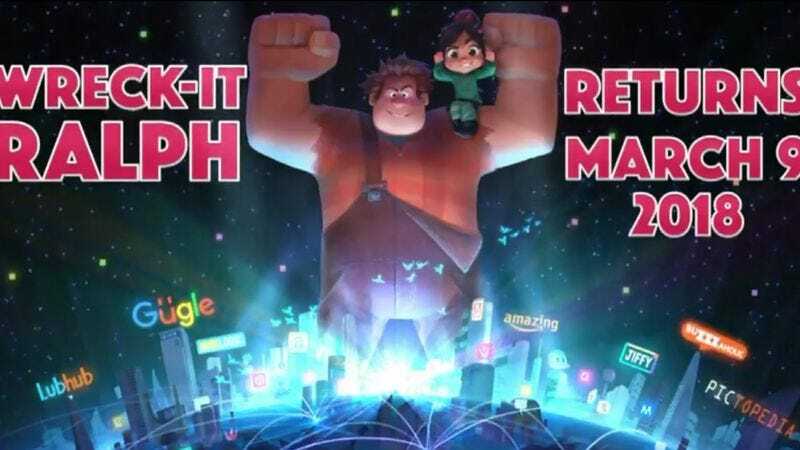 Wreck-It Ralph star John C. Reilly already broke the news of a sequel last year, but now Disney has followed up with an official release date for the movie, plus some details about the kind of damage that will be inflicted this time around. The House Of Mouse shared a video on Facebook Live in which Reilly interrupts (in a mostly polite way) co-directors Rich Moore and Phil Johnston’s announcement. Moore’s co-writer Johnston echoed his sentiments, saying “The world of the internet is the perfect place to send Ralph and Vanellope. The scope and scale are so vast and the possibilities for comedy are endless.” There’s no word on whether this impending internet breakage will include a nod to Kim Kardashian West, who once threatened/promised to do something similar. But the animated feature is already in development.